Myths are stories we believe are true but are in fact not. In our research, and work with companies and women, we’ve consistently found that women are being held back because of myths. These assumptions keep women from advancing in their careers and in the leadership pipeline. We want to shift that. 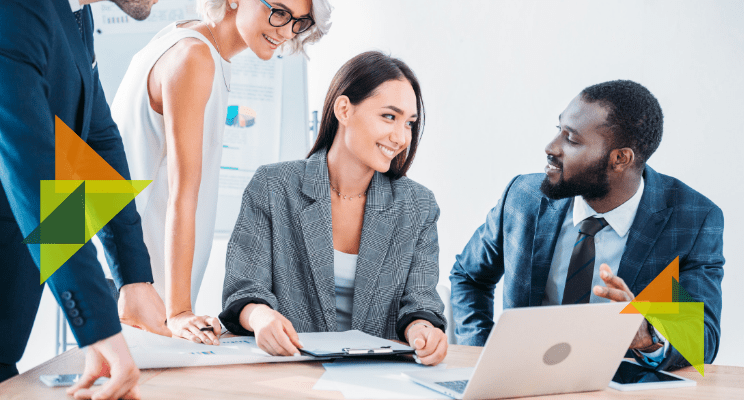 From their capabilities to their ambitions, check out the common assumptions that women face in the workplace and ways to reframe them. Have you heard, “She quit because she wants to spend more time with her family. No wonder we can’t get more women in management.”? Nope, untrue. The reality is that women quit because they aren’t being paid sufficiently. They leave to find better opportunities. Organizations can look at the real reasons why women leave and share this information. By identifying the root cause, managers can fix and improve the organization. We hear this a lot: If you set women up with a network, networking will happen. Because women are social beings, right? They form book clubs and go to one another’s trunk shows. All of this camaraderie and friendship nurturing must make women good networkers. The reality is that often women join networking groups and plateau. They attend meetings. They make friends. They offer assistance to other members of the group without ever asking for any help in return. They often fail to help each other out from a business or career perspective. Putting women together in the same room or online group does not guarantee any networking will happen at all. Networking is about conscious, quid-pro-quo collaboration. It is not friendship, it is business. It’s listening, follow-up, sharing of goals, and mutual assistance to attain those goals. Once women learn the give and take of leveraging a network, they can be unstoppable. Have you heard that women just aren’t ambitious? Men ask for a promotion all the time but women? Hardly ever. Recent research suggests that women are equally ambitious as men. but often get frustrated and blocked by existing corporate structures. This percentage drops steeply after two years and even more when they start a family. Many women believe they “shouldn’t” make career important because family is “most important.” There’s no time for promotions anyway. Reframe: Why Is Overt Ambition The Primary Criteria For Promotion? When we rely solely on people asking or who-knows-who to determine the best candidate, then yes, women will continue to look as if they don’t want the position. But if we make the process more transparent and focused on the skills we want, we will open up possibilities to get the best candidate – not the most well connected or overtly ambitious person. Women can reframe too and recognize that career and family are compatible. Our research suggests women do want both. Once women reframe their mindset, they can then figure out when, not if, a promotion is something they can handle. Women are regularly counseled to negotiate more. Our research suggests that women assume that they “shouldn’t”. Why are raises distributed based on someone’s ability to negotiate? No one has found a link between ability to negotiate and ability in a job. Yet, organizations regularly pay more based precisely on that skill. Companies should question the costs and benefits this perspective brings to their organization. They can approach it as: “Here are the expectations for the job and here’s what we are willing to pay.” In these cases, negotiation is not allowed. There are plenty of top-notch colleges and business schools that attract talented and diverse students. Companies have historically relied quite heavily on that talent pool. It is easy to believe that if graduates are recruited from these schools, organizations will develop into an equally diverse place to work. The reality is that graduates from top schools – no matter their backgrounds – are only one type of worker. Sure, they are highly educated. But to create a winning team, you need a variety of players with an assortment of abilities. A truly diverse workplace brings together people with different backgrounds to produce high-functioning, creative teams. The best business schools often miss out on some of the most experienced workers. These include military veterans, mothers (and fathers) returning after childcare sabbaticals, and motivated employees from smaller companies or other industries. Do you want more women in your leadership pipeline? Do you want to leverage your full talent potential? 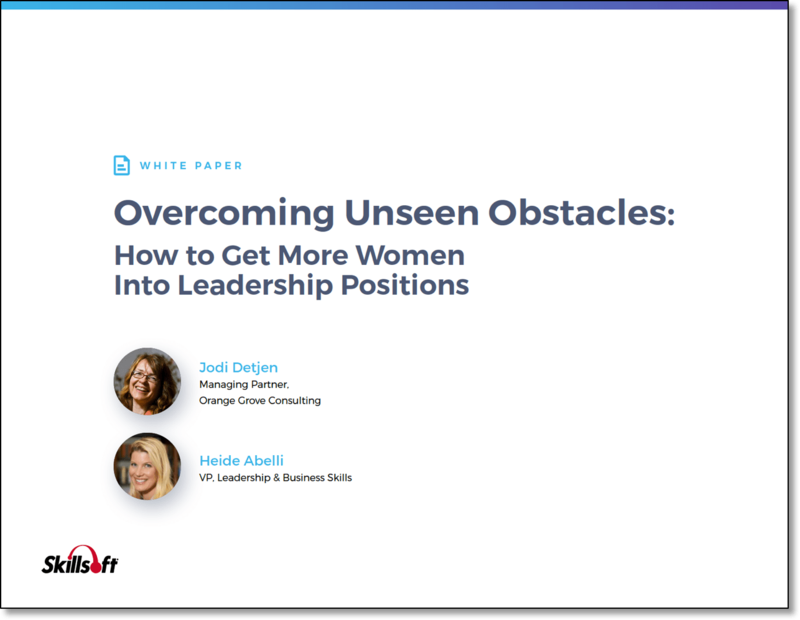 There’s no doubt that assumptions about women impact their opportunities and hurt organizations. By reframing myths, we can together make strides toward gender parity.